Emed Integrative Medicine Clinic Provides the Best Natural Medicine Matched to Your DNA & Metabolic Profile. 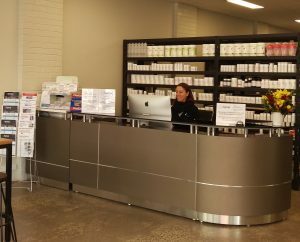 We provide Naturopathic consultations in our beautiful clinic located in leafy Hawthorn, east of Melbourne, Australia. We treat a wide range of conditions like adrenal fatigue, hypothyroidism, sleep disorders, chronic pain and arthritis, children health, anxiety, depression, MTHFR genetic mutations just to name a few and offer support for preconception care, weight loss and detoxification programs. Our mission is to improve health worldwide by providing the best Integrative Medicine based on your own genetic information, metabolic, toxicant, food allergy, food additive and nutritional testing currently available. Emed provides access to the most up to date health information and Practitioner Only Natural Medicines to support your quest for better health by enhancing your genetic expression. We provide a FREE Initial Consultation for All New Patients to the The Emed Clinic. As a great introduction as to how Emed can help you, we provide a FREE Initial Consultation for All New Patients to the The Clinic or eClinic. This consultation can be completed at the Emed Clinic or via Skype video app in the comfort of your own home or office. 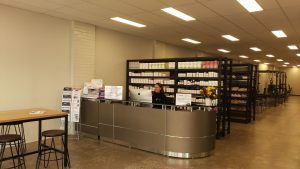 We are a team of highly qualified Integrative Medicine Practitioners and Naturopaths who are able to tailor treatments that will help you achieve optimal health and wellness. Our aim is to understand the underlying cause of your condition by drawing on the latest scientific research, testing and investigations to pinpoint areas of your health that need attention. Whether you are a long time devotee of natural medicine, or are new to the area, you’ll love the treatment and wellness support experience at Emed. Our professional team are dedicated to helping you achieve optimum wellbeing in a caring and professional clinic environment. Emed is a leader in the development of Integrative Medicine; combining genetic, metabolic, blood and nutritional testing with individualised and specific natural medicines to enhance your health and achieve your genetic potential. We are a unique health provider that matches your nutrition to your DNA. We can assist you in making better and scientifically valid health choices – using some really nifty and cutting edge medical testing. Emed is an Integrative Medicine and Nutritional Practice that provides nutritional and dietary protocols to patients through The Clinc and The eClinic. 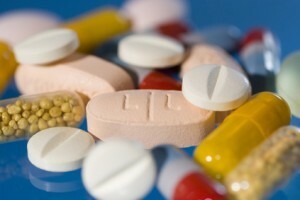 As with all Clinics, certain medications require a consultation before they are provided. Emed is no different. 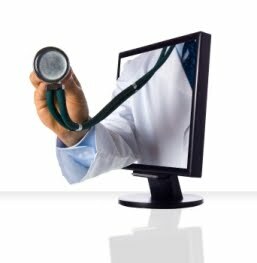 For the best results we recommend that all new patients have an eConsultation through the eClinic or attend the Practice – the old fashioned way. Have you tried every fad diet under the sun to no avail? Are you feeling frustrated and defeated when it comes to achieving your ideal body weight? Regardless of your starting point, it’s time to try a new approach based on YOU and YOUR individual health needs! What are you waiting for, summer is almost here! 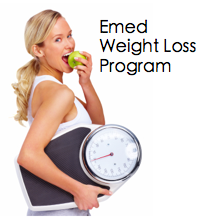 Emed is excited to launch our exclusive range of detoxification programs to our valued members and patients. There are many health benefits associated with detoxification, and in today’s world detoxing is important. Unfortunately toxins are very common in our everyday environment. Emed’s detoxification programs are designed to help cleanse the body at a cellular level, supporting all organs of elimination and providing necessary nutrients and herbs to facilitate ongoing digestive and liver health. There are 2 programs to choose from: both 2 week and 6 week programs include full practitioner support throughout, informative Emed detox booklet and newsletters, recommended food lists and healthy detox recipes, high-quality practitioner products to support the detoxification process and more! Why hesitate? Start your detox today! Your Emed Practitioner is one of a select group of Healthcare Professionals who have received extensive training in maximising healthy ageing and improving vitality, making them ideally suited to help you achieve your goals. The Emed Practitioners use a scientifically validated test known as Bioelectrical Impedance Analysis (BIA), which assists them to design a program specifically for your needs. Nutritional supplements, exercise recommendations and dietary advice will be provided, giving your body the building blocks for maximum health and energy. What is a Bio Impedance Analysis? Emed’s Arthritic Profile assesses the level of inflammation in your body in addition to other arthritic markers to determine the most effective treatment strategy for you. This will include pain management and reduction of inflammation through dietary and lifestyle changes as well as with natural supplements when necessary. If you want freedom from chronic pain and medication side effects, as well as an improved sense of health and mobility, the Emed Arthritic Profile is an essential first step on your way back to wellness. If you have cardiovascular conditions running in your family or would like to know the state of your cardiovascular system, then this is the profile for you. Emed’s Cardiovascular profile moves beyond conventional assessments and into inflammatory markers and 21st century medicine genetic screening. The Emed Cardiovascular Profile consists of lipid studies (LDL/HDL), fasting glucose, homocysteine, fibrinogen, HS-CRP, CoQ10 & MTHFR gene test. Our individuality is based on our genetic variety. 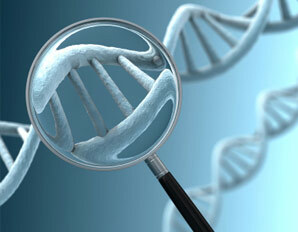 The complete genetic information possessed by an organism is referred to as the genome. 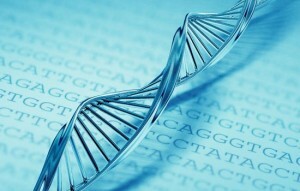 In humans, up to 99.9% of the genome is identical. The remaining fraction of 0.1% is responsible for the inherited variety within mankind. The identification of genetic variants (polymorphisms) in the human genome has become increasingly clinically significant in the past decade. Thus every human being born is unique, even “identical twins”. Finding out what your nutrient levels really are will also free you from over-supplementing, as you will know exactly what nutrients your body needs and how much to take. Emed helps you take the guessing game out of your health. 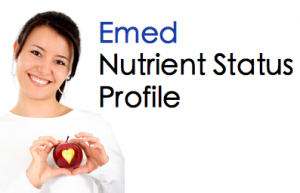 Emed’s new Mineral Status Profile can benefit anyone, but is particularly recommended for individuals suffering from fatigue, mood or stress symptoms. Emed’s Musculoskeletal Profile is designed to encourage people not to ignore their symptoms or mask them with medications, but to discover nutritional deficiencies at early stage to effectively prevent and treat various musculoskeletal conditions in an effort to restore function and improve quality of life. If you are not responding to treatment, have re-occurring injuries or ongoing musculoskeletal pain or concerns it may be due to some nutritional deficiencies. Appropriate tests are necessary to identify those deficiencies in order to prevent disease and further complications. Targeted testing for certain vitamins and minerals can help your practitioner to assess your nutrient requirements accurately and assist you in restoring nutrient status effectively to achieve optimal health. Disorders of the thyroid are among the most common diseases of the endocrine glands. A recent study found the prevalence of known thyroid disease to be 3 to 4% in the Australian population. Women are at greater risk, developing thyroid problems five times more often than men. Thyroid-stimulating hormone (TSH) is produced by the pituitary gland and activates the thyroid gland to produce thyroxine (T4) and triiodothyronine (T3). T4 is converted to T3 in the liver and requires the presence of selenium and zinc . Disorders of the thyroid are among the most common diseases of the endocrine glands. A recent study found the prevalence of known thyroid disease to be 3 to 4% in the Australian population. Women are at greater risk, developing thyroid problems five times more often than men. The Emed Thyroid Profiles can diagnose Thyroid conditions or be used to monitor exciting thyroid conditions.